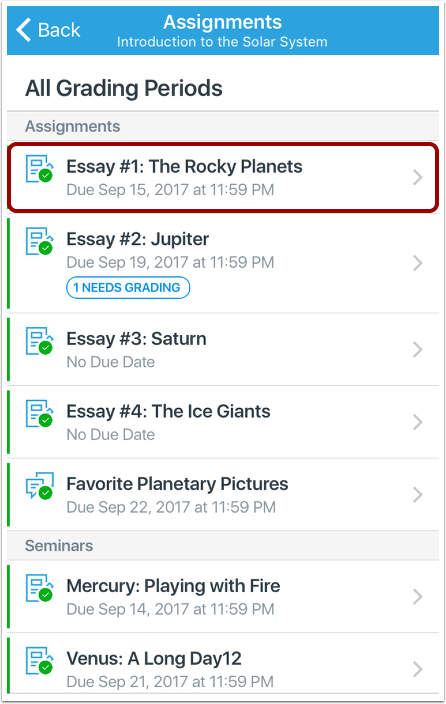 How do I add an audio comment to an assignment submission in the Teacher app on my iOS device? 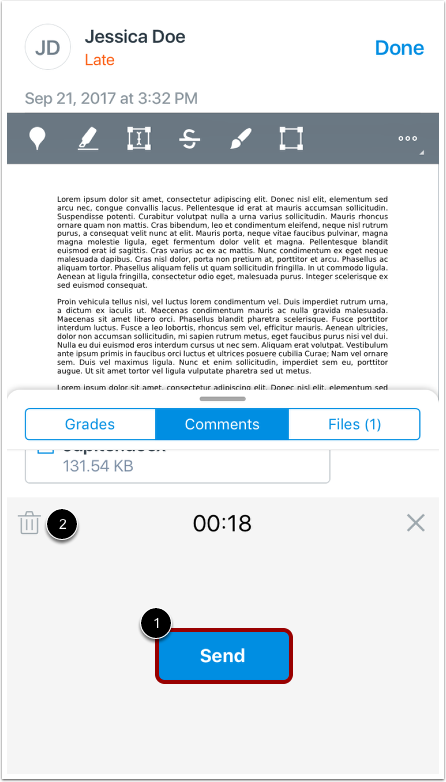 You can leave audio comments on student assignment submissions. 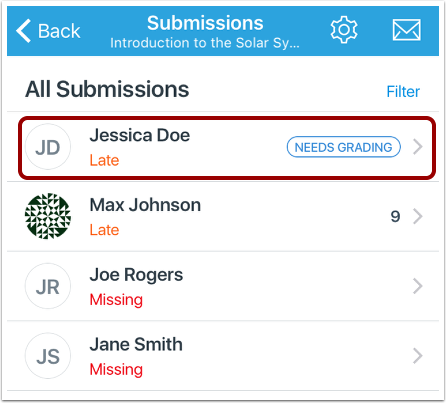 Comments can be added before or after grading a submission. 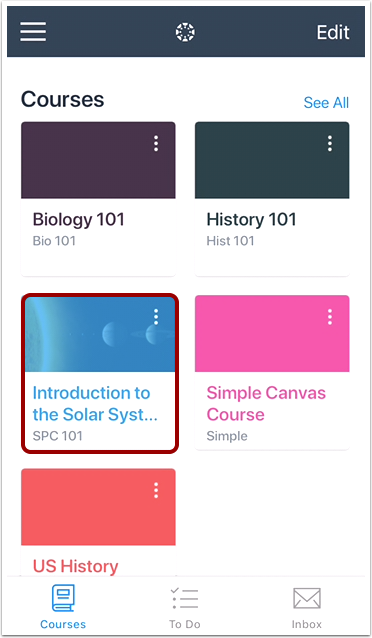 You can also add text comments or video comments. 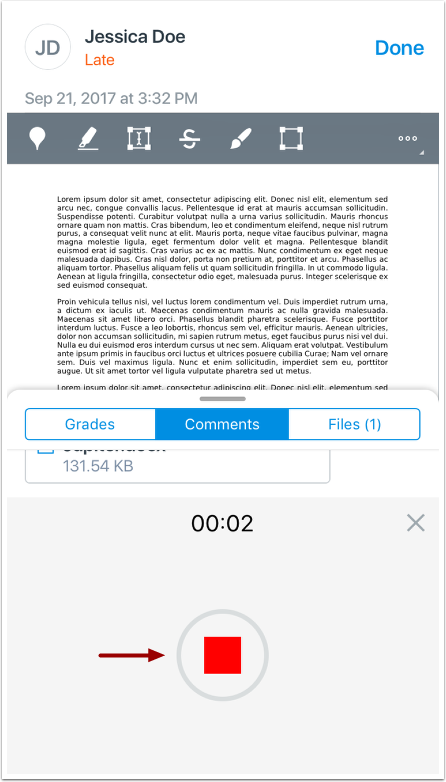 Note: To learn more about audio comments, view the Canvas Media Comparison PDF. 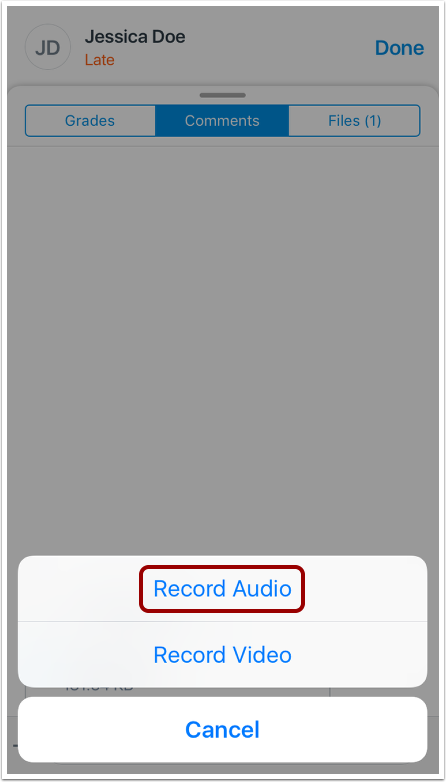 Tap the Record Audio button. 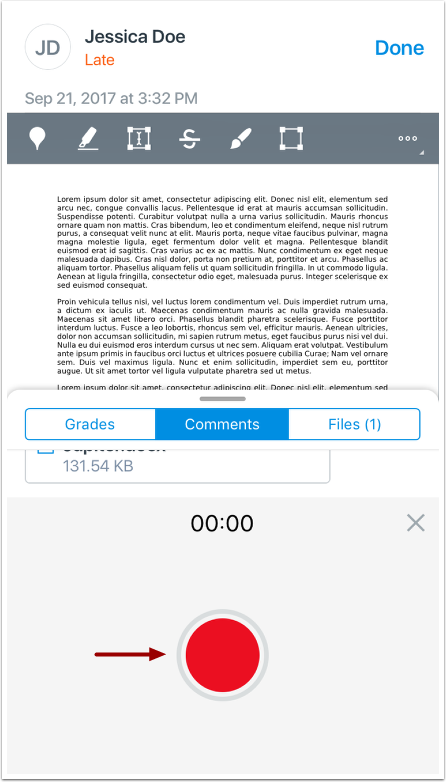 To send your recording audio as a comment, click the Send button . To delete the recording, click the Delete icon . 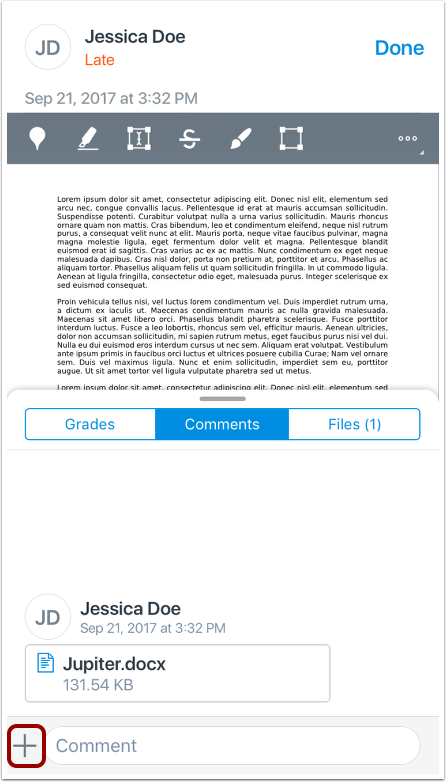 Previous Topic:How do I add a comment to an assignment submission in the Teacher app on my iOS device? 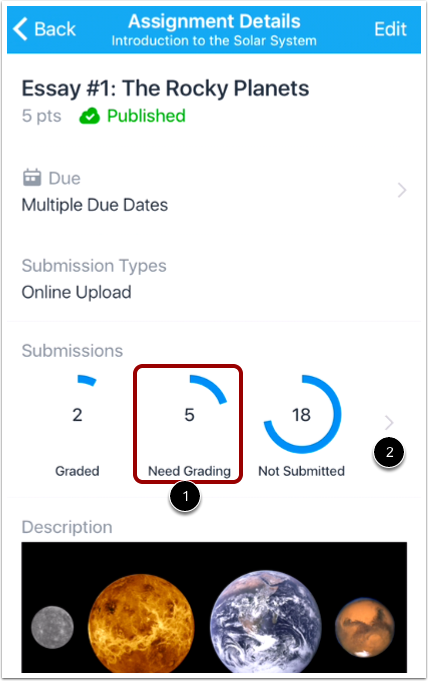 Next Topic:How do I add a video comment to an assignment submission in the Teacher app on my iOS device? 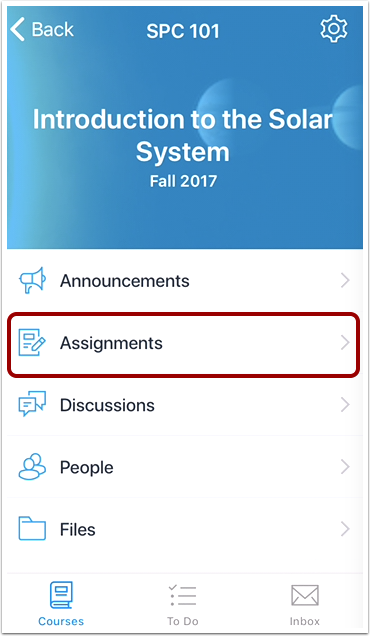 Table of Contents > Courses > How do I add an audio comment to an assignment submission in the Teacher app on my iOS device?